Kaged Muscle Pre-Kaged Review – Should you buy it? 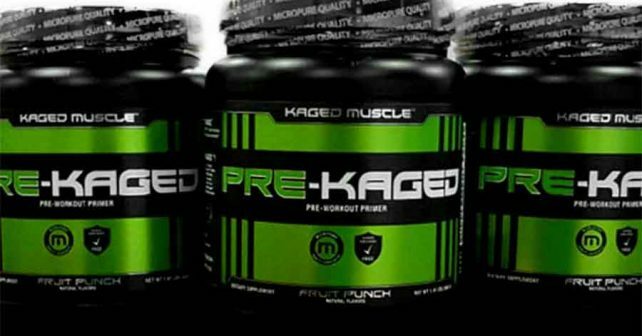 If you’re looking for a supplement that has everything you need, then you’re going to love reading about Pre-Kaged. We always warn our readers about the caffeine content, since caffeine is typically used by both fat burners and pre-workout supplements. Pre-Kaged contains 274mg of caffeine, which is roughly the equivalent of drinking 4-5 cups of brewed coffee. If that’s too much for you, then you can dial down on the dosage to assess your tolerance. Pre-workout supplements are typically used by individuals who want to improve their performance, but in the case of Pre-Kaged, you can just imagine that anyone would like to get their hands on it simply because it does the work of three different supplements at just the price of one. We’ve been talking about how complete the ingredients are in Pre-kaged is, but as you very well know, there’s no such thing as complete in the supplement industry. In this section, we’ll compare Pre-kaged with the best muscle building supplements to see how effective it really is. The main ingredient of the formula is its 6-gram L-Citrulline content, which is really impressive if you look at it. However, a better option as a pro-pump enhancer would be L-Arginine, since L-Arginine has shown better results in testing, and L-Citrulline is basically just a precursor of L-Arginine, and it needs to be converted first in the kidneys to L-Arginine, which delays its effects on the body. The great thing about Pre-Kaged is its list of other ingredients like BCAA (6.5 grams total), Carnosyn 1.6grams, Betaine 2 grams, and 1.5 grams of Creatine HCl. These ingredients are basically what other supplements are based off of and if you’d ask me, you’re getting a bargain for getting all of these supplements with just one product. At only $36.97 for 20 servings, Pre-kaged is just priced like any other PWO, but considering everything you’re getting, it’s worth twice or thrice that amount. There’s no question that Pre-kaged out-performs other pre-workout blends by a mile. That’s probably why it is rated at 9.4 out of 10 in a review aggregate website. However, it’s still not everything you need to build muscles. You can stack it with Xtreme Testosterone to increase your gains through testosterone supplementation and Deer Antler Velvet Maximum Strength to enhance your post-workout recovery.